It’s the long arm of the law versus the one-armed bandits. Area police are increasingly finding illegal gambling machines at area businesses, such as restaurants, liquor stores and laundromats. Officers in El Monte and Covina have confiscated 11 machines since Dec. 6. The discoveries have officers wondering how widespread the practice is. “We weren’t really looking for them, but after these last couple weeks, we are now,” Covina Police Sgt. Gregg Peterson said. Covina police since Dec. 6 have confiscated four slot machines, including two last week at a laundromat on Azusa Avenue. And El Monte Police on Tuesday found seven video games converted into gambling machines. The games were llegal gambling machines seized by El Monte Police from businesses. Even children’s games that give out redemption tickets are technically forbidden. If they desired, officials could enforce the law at Chuck E. Cheese’s or similar establishments. SAN MARINO – Mary Jean and Charles Lynberg had long talked about spreading their ashes together after their deaths. “He’d say Laguna, I’d say La Jolla – and he’d joke and say, `I’ll never find you there.’ I wouldn’t really care where they’re spread, just as long as they’re together,” Mary Jean said. But burglars who broke into her home last Wednesday spoiled her plans. Lynberg said she returned home from a short afternoon outing and found her home ransaked and the box containing her husband’s ashes gone. Charles A. Lynberg died of cancer three years ago, leaving his wife alone in their San Marino home of 25 years. Apparently there’s a rash of these instances. Then there’s the urn found Sunday in Covina. Don’t know if there’s any relationship between the two stories. POMONA – Twin sisters pleaded no contest today to elder abuse resulting in the death of their invalid mother and were immediately sentenced to state prison by a Superior Court commissioner in Pomona. Deputy District Attorney Robin E. Allen of the Elder Abuse Section said Commissioner Wade Olsen sent each sister to prison for three years. Justine Naomi Rosales and her sister, Jasmine Nicole, each was charged a year ago with one count of elder or dependent abuse resulting in death (Section 368(b)(1) of the California Penal Code). The case was filed after a lengthy investigation of the Feb. 27, 2007, death of 43-year-old Naomi Mendez, the twins’ mother. Authorities said the victim was found dead at the family’s Covina home. The woman, who weighed 78 pounds at the time of her death, suffered from diabetes and other medical problems that limited her speech and required her to us a walker. The defendants have remained in custody on $80,000 bail each since their arrests on April 22, 2009, by detectives with the Covina Police Department. The case against them was filed two days later. 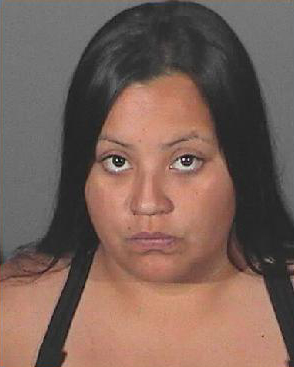 COVINA — Twin sisters were arrested Wednesday after allegedly causing the death of their invalid mother two years ago through neglect and abuse. 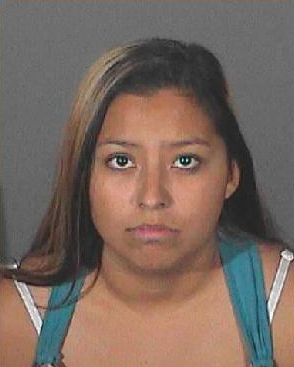 Justine and Jasmine Rosales, both 20, were booked on suspicion of murder and dependent abuse, Covina police Sgt. Trevor Gaumer said. Their current cities of residency were not available. The attorney for a man held on suspicion of killing his girlfriend by shooting her to death in Covina Monday night, said her client is innocent and has an alibi. Since Monday night, Gutierrez had ever intention of turning himself into police, but knowing the nature of the situation wanted to be accompanied by a lawyer, said DiBello. DiBello wouldn’t comment on Gutierrez’s story of what happened Monday night, when Hassan was shot in the head. Police have said Gutierrez’s grandfather made the 911 call. The incident was first reported as a suicide at 2:30 p.m. Monday. DiBello declined to comment further on Gutierrez’s actions that night or what happened. A woman was killed in Covina. Police are now seeking her boyfriend. A man was killed in a West Covinadomestic dispute. 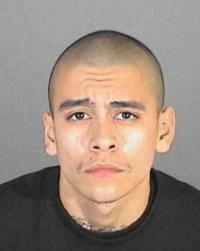 A teen was killed in a Glendora drug deal gone bad. And a man was found stabbed to death near Pasadena City College. Record temperatures are on tap again today … with a cooling trend hopefully moving in later this week. We’ll be following all these cases throughout the day. I was at the scene of the West Covina dispute Monday evening, and shot some photos of the aftermath. Perhaps the most interesting is the Covina case. Originally police thought they had a suicide on their hands. They responded to a report of gunshots, but the victim may not have been shot. The man who was stabbed to death in Pasadena tried to flag down passersby before an ambulance came. The Glendora case sounds tragic. Apparently the victim’s mother and father were nearby but unable to see their mortally wounded son once police arrived on scene. Covina police called the coroner to the scene of what they believe to be a suicide Monday, officials said. Dead is an unidentified woman, who apparently died from a gunshot wound. Although there are indications that the woman committed suicide, police have neither recovered a gun nor a note, Covina police Sgt. Dave Foster said Monday. The shooting occurred at 136 S. Brightview Drive at 2:27 p.m, Foster said. *Covina police aren’t sure how the woman died. An autopsy is scheduled for this morning (Tuesday) They are seeking Joseph Anthony Gutierrez, 18, in connection.